Broken Bones From a Dog Attack? Dogs have extremely powerful jaw muscles that can cause fractures or broken bones. However, sometimes a dog doesn't have to bite to cause an injury. If you suffered a broken bone or other injury from a dog, you may be able to collect compensation from the dog owner's homeowner's insurance company. If a dog injured you, call our attorneys for a free legal consultation. We'll answer your questions and put you on the right track to collect money for you injuries. Call us at 1-866-943-3427 or complete the form located in the top right corner of this page. We're standing by 24/7, and we're ready to fight for you. A broken bone can be a serious injury. It can take time and therapy to get back your normal range of motion. 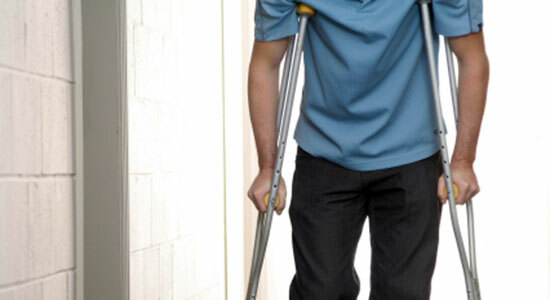 We know that a fracture or broken bone can lead to lost work time and mounting medical bills. We can help. If a dog attack resulted in a broken bone, you may be eligible to recover money for your injuries. Because a fracture or broken bone can lead to a long recovery time, we encourage you to call us as soon as you can. We'll fight to recover the money you deserve. In most cases, the dog's owner is responsible for any harm caused by the dog. Their homeowner's insurance policy will cover the costs of your pain and suffering, medical bills, and lost wages. For a free consultation, call us at 1-866-943-3427 or complete the form located above. We'll answer your legal questions, cover all your upfront fees, and protect you from aggressive insurance companies trying to force a low-ball settlement on you. We have over 35 years of experience and success recovering compensation for our injured clients. Don't take our word for it; visit our verdicts and settlements page for examples of the cases we've won. Remember, there's no fee and no obligation when you call. You won't pay us anything until your case is won. If we don't recover money for you, then our services are absolutely free. That's been our guarantee for over 35 years.